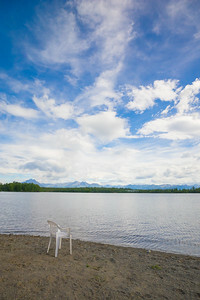 View from a chair on the shore of a cold lake in Wasilla Alaska. 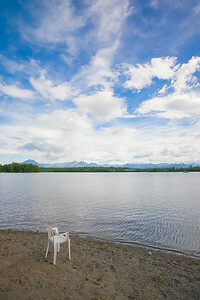 Wave ripples on the shore of a lake in Wasilla Alaska. 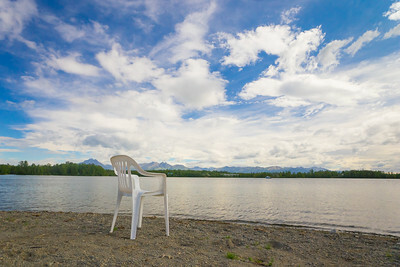 Lake chair holds a single white plastic chair under a cloudy blue sky in Wasilla, Alaska. 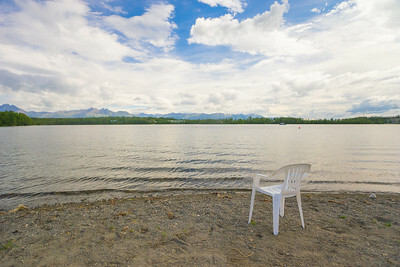 View of lake waters from a plastic lawn chair on gravel shoreline. 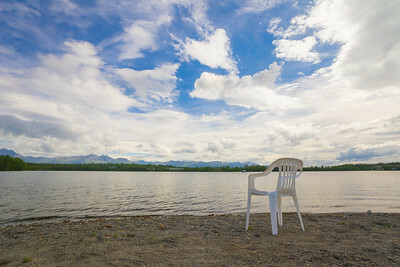 Plastic lawn chair sits on shore of lake in America's northwest. 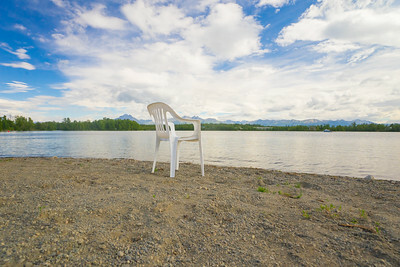 White plastic lawn chair sits facing a cold Alaska lake. 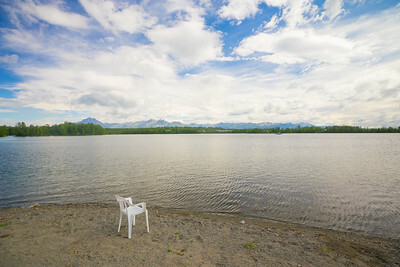 Sandy lake beach in Wasilla, Alaska holds a white plastic chair. 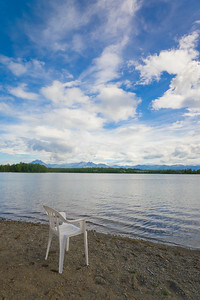 Calm waters of Alaskan lake viewed from plastic chair on shoreline. 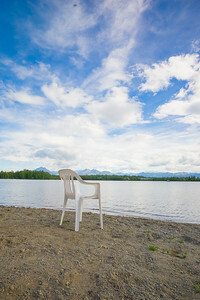 Lakeside view greets a plastic white lawn chair in Alaska's town of Wasilla. 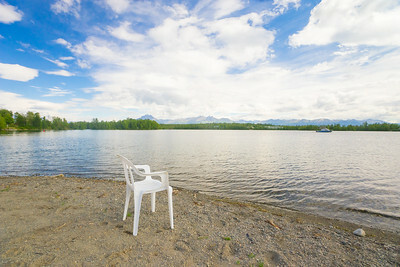 Sand and gravel beach occupied by white plastic lawn chair in Wasilla, Alaska. 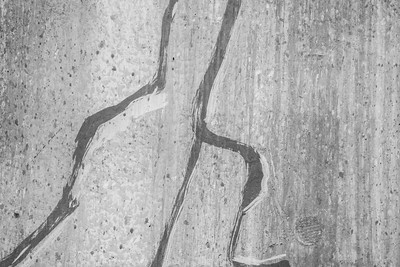 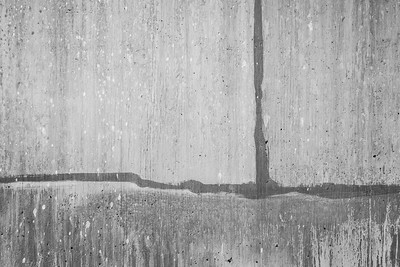 Gritty grey wall of cement forms pattern at joining. 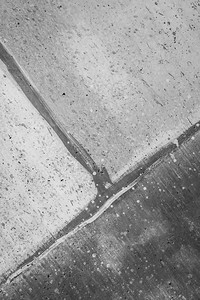 Cracks sealed over in grey cement of exterior foundation wall form pattern. 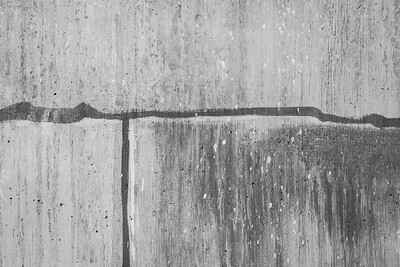 Detailed grit of area of joined cement for exterior wall. 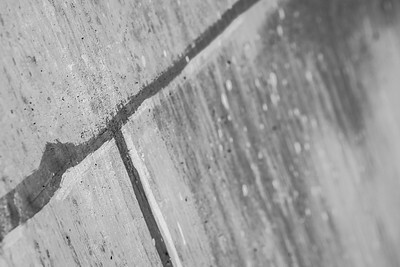 Sealed angled cement bricks fitted together to form a retaining wall. 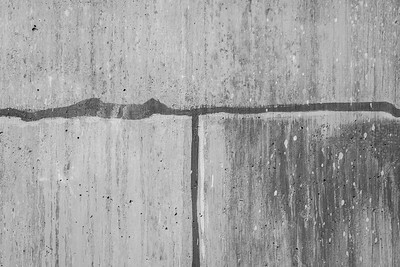 Cracks in blocks of joined cement exterior wall. 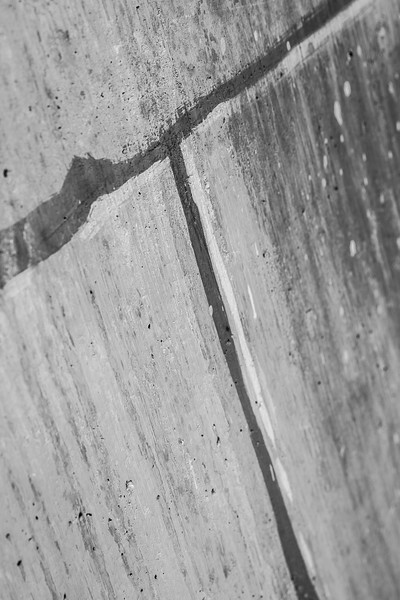 Diagonal cement lines of angled cement form an exterior retaining wall. 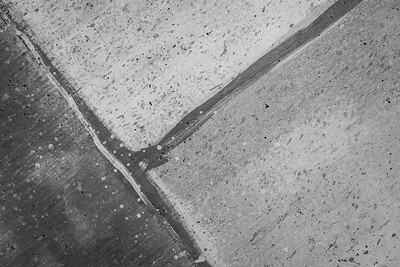 Aged lines of cement blocks sealed and joined together. 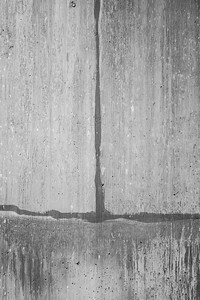 Cement blocks joined together in third sections for building exterior. 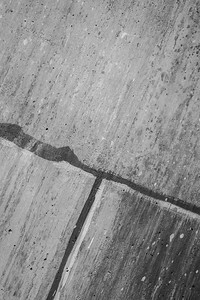 Gritty aged wall made of grey cement with cracks. Lines of concrete construction blocks along a retainging wall. 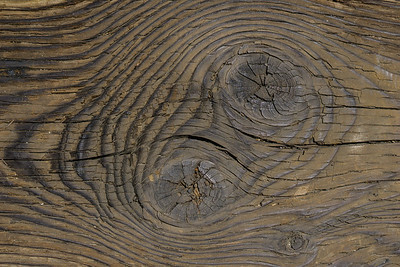 Design of hardwood grain on aging wood boards. 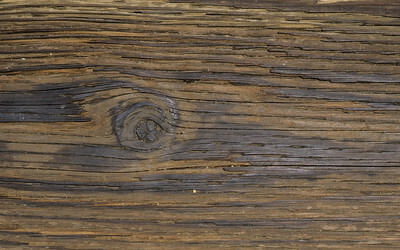 Cracks and grit in the grains of a wooden floor board. 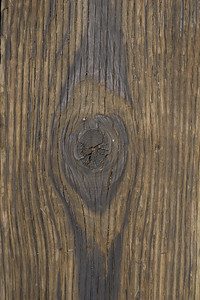 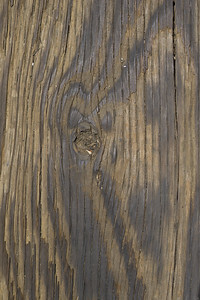 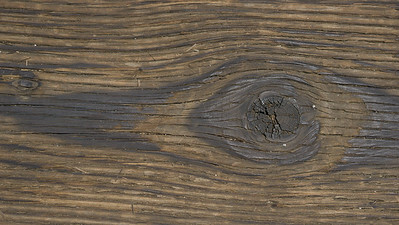 Twisted wood grain of knothole in rustic old plank. 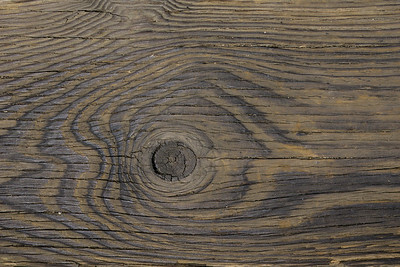 Wood knotholes in planks of grain and grit floor boards. 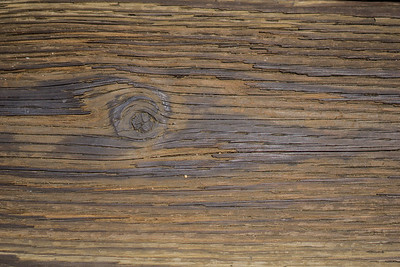 Wooden knothole in aging rusted plank. 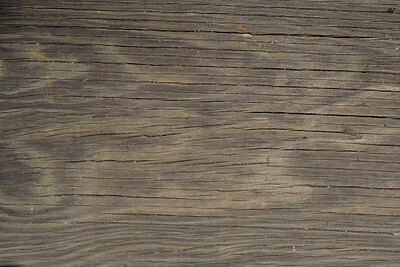 Cracked wooden planks with rustic wood grain flooring. 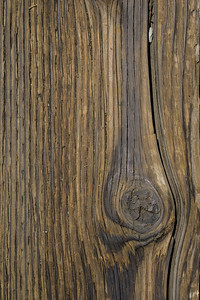 Detail of grit in wood grain and wave patterns. 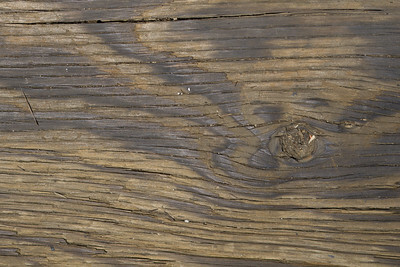 Detail of wood grain cracked and worn. 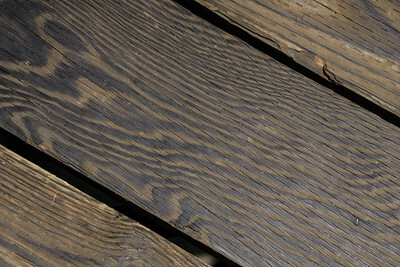 Wooden planks and dark grain of boards. 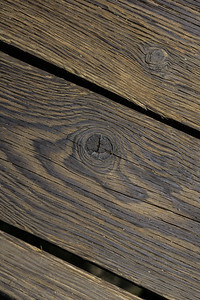 Dark wooden grain and coloration of plank wooden flooring.